(CBS/AP) - School districts can now opt not to use the much-debated "pink slime" lunch meat. The U.S. Department of Agriculture (USDA) announced Thursday that starting in the fall, schools enrolled in the national school lunch program will have the choice not to use the byproduct. The schools will have the choice between 95 percent lean beef with "pink slime" or less lean bulk ground beef without it. According to an USDA official with knowledge of the decision, the changes won't be made immediately because of existing contracts. "USDA only purchases products for the school lunch program that are safe, nutritious and affordable - including all products containing Lean Finely Textured Beef. However, due to customer demand, the department will be adjusting procurement specifications for the next school year so schools can have additional options in procuring ground beef products. USDA will provide schools with a choice to order product either with or without Lean Finely Textured Beef," the USDA said in a statement issued to Healthpop. Another USDA official told Healthpop that the USDA only provides 20 percent of school lunches on average, while 80 percent is ordered by schools/districts outside of USDA. The statement said that schools purchase food through the USDA program, which provides more than 180 nutritious food items that are fresh, frozen, packaged, canned, dried or in bulk. 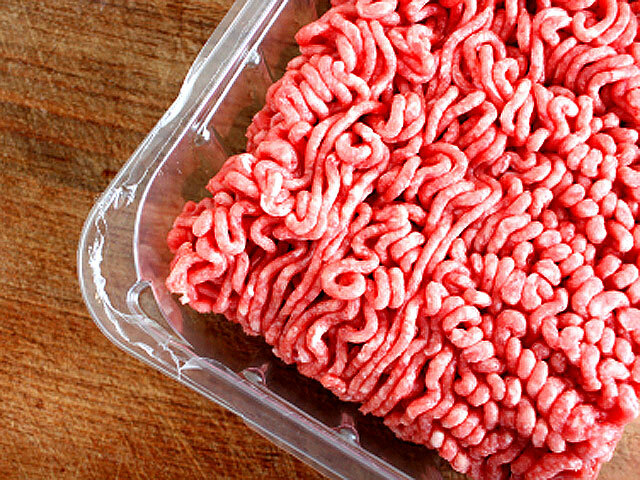 "Pink slime" is the more common name for what industry insiders call "lean finely textured beef." It's a low-cost ingredient made from fatty leftover meat trimmings and other cuts made by South Dakota-based Beef Prodcuts Inc. (BPI). The scraps are heated to about 100 F, spun to remove excess fat and then compressed into blocks to be mixed with ground beef. It is then treated with "a puff of ammonium hydroxide gas" to kill bacteria such as E. coli and salmonella. The USDA buys about one fifth of the food served in schools nationwide. The Daily reported that the USDA planned to buy 7 million pounds of the byproduct, and claimed the "pink slime" met the high standards set for food safety. While the department claimed that no more than 15 percent of each serving would consist of pink slime, a spokesperson noted that it would be hard to determine which part of the meal was made up of the trimmings. Parents and children would not be able avoid the byproduct if they wanted to. The revelation lead to outrage from many parents and food bloggers including Bettina Elias Siegel, known for her website The Lunch Tray. She has started an online petition to stop the USDA from using the product in schools, which has received over 225,000 signatures. Meanwhile, Google searches for "pink slime" spiked dramatically. It has become the food version of Joseph Kony, the rogue African warlord virtually unknown in the United States until this month, when an online video campaign against him caught fire. The story is reminiscent of the anger when McDonald's was revealed to be serving "pink slime." The fast food chain has since opted not to use the byproduct in their meat, Healthpop reported. Issues can to go from a simmer to an explosion when content with broad interest -- such as like food safety -- is picked up and disseminated by widely connected people, said Marc A. Smith, director of the Social Media Research Foundation. These people act like "broadcast hubs," dispersing the information to different communities.